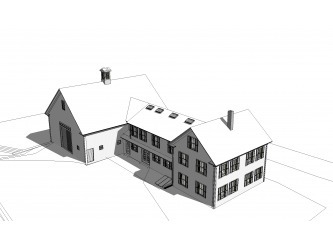 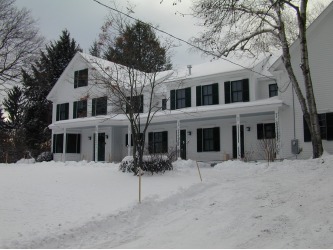 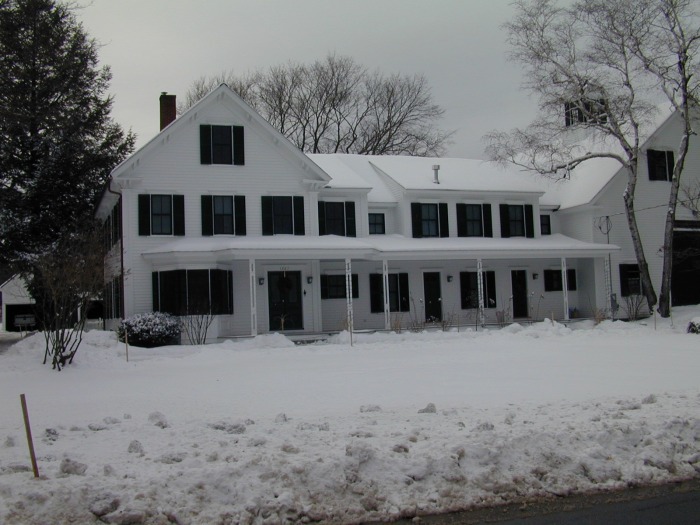 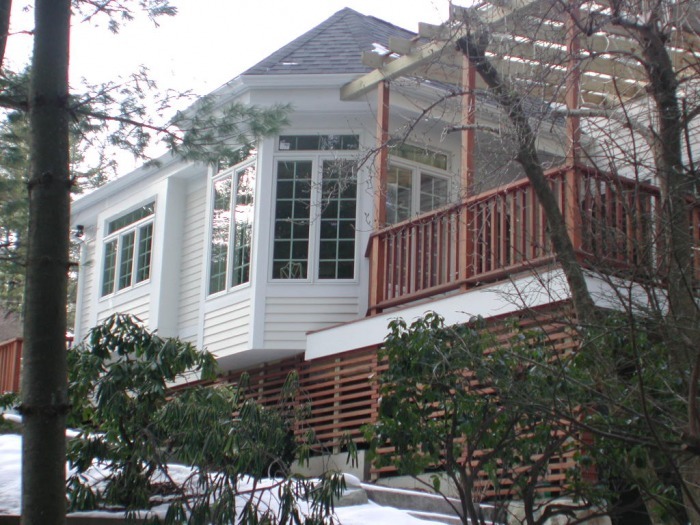 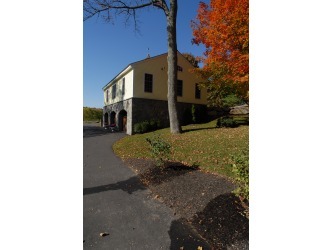 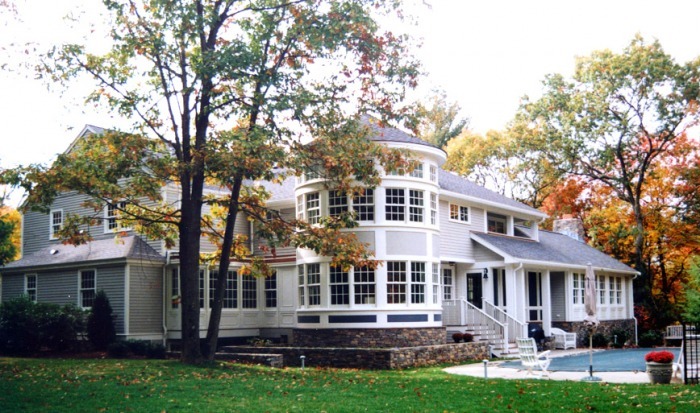 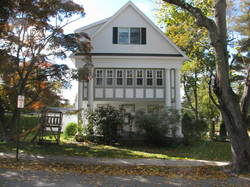 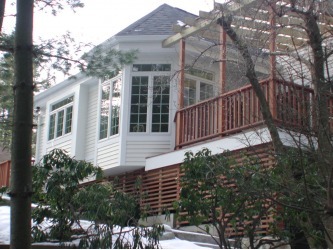 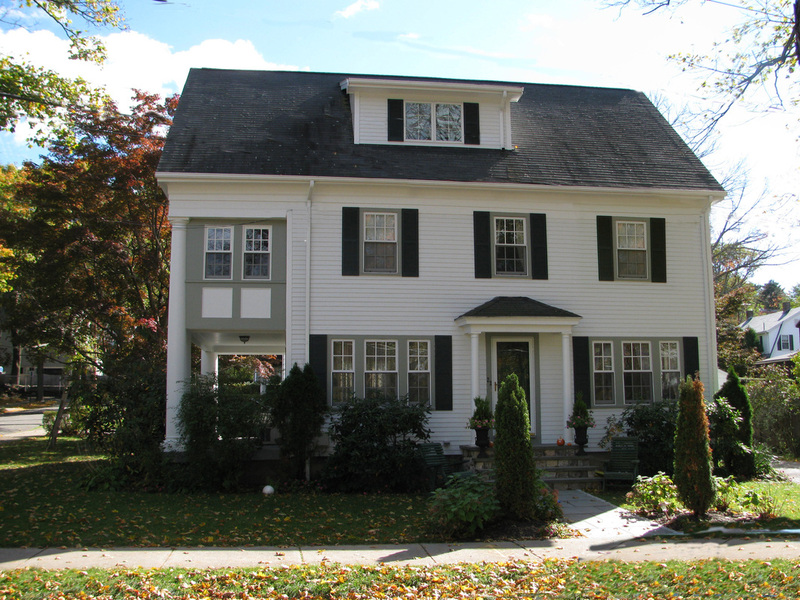 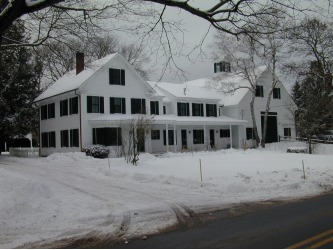 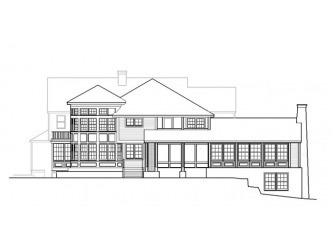 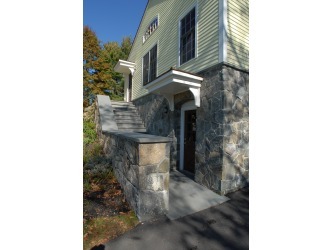 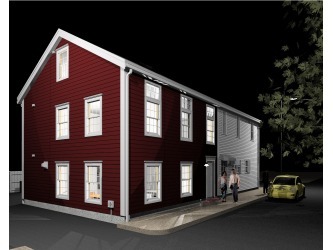 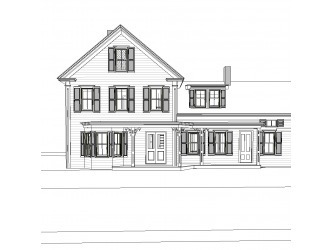 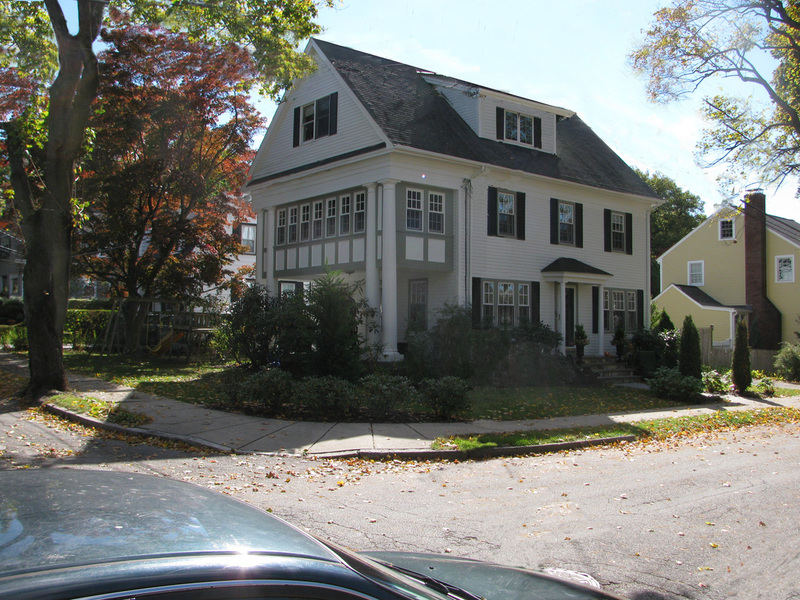 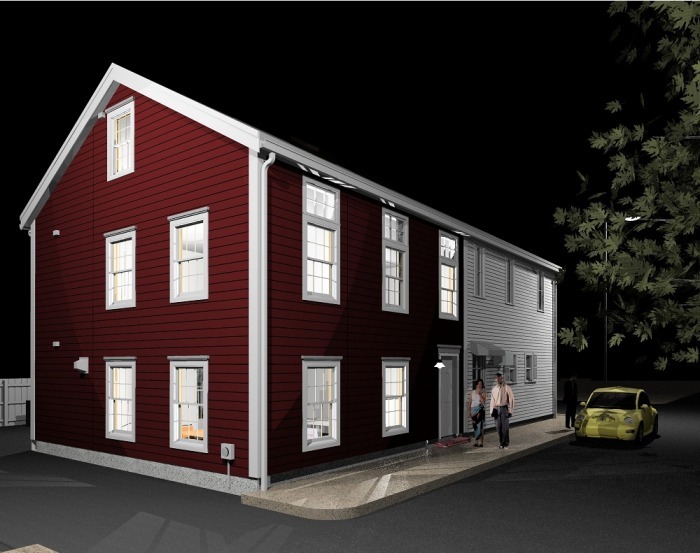 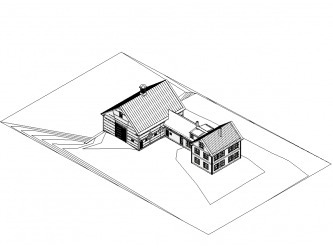 Private Residential - Ganek Architects, Inc.
A new 3000 SF, 3 level structure was added to this large Colonial. 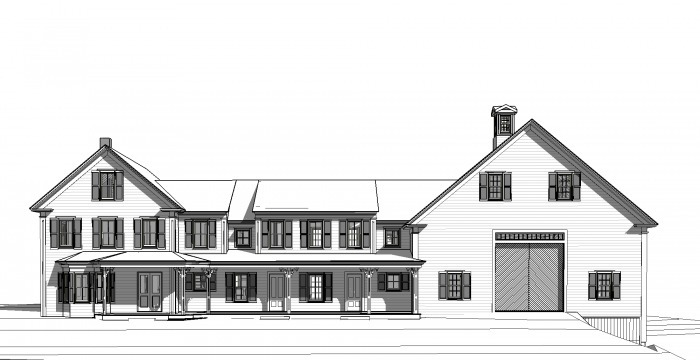 New spaces include a family room, recreation room, children’s study area, master suite, kitchen and breakfast area, exercise room and screened in porch. 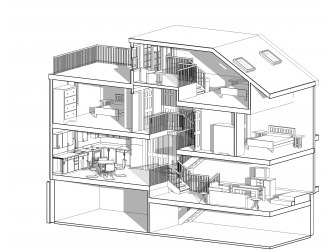 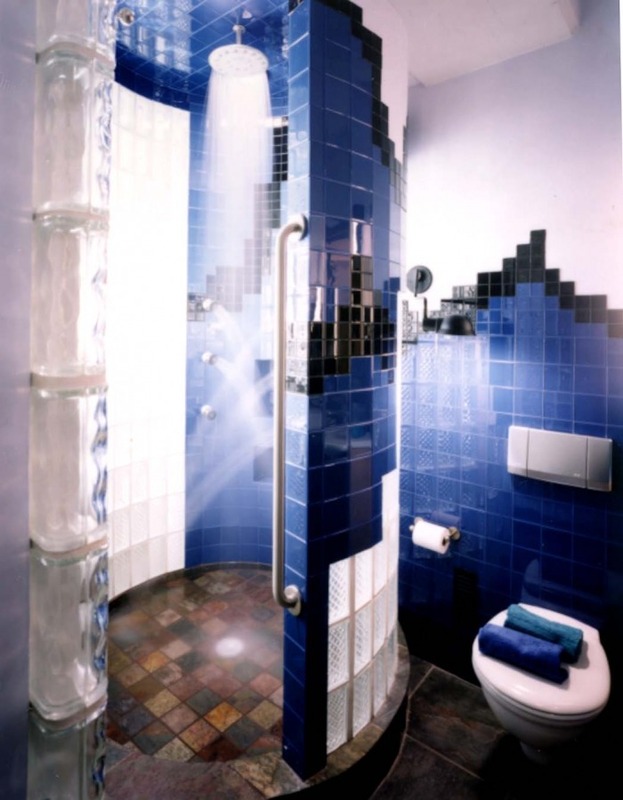 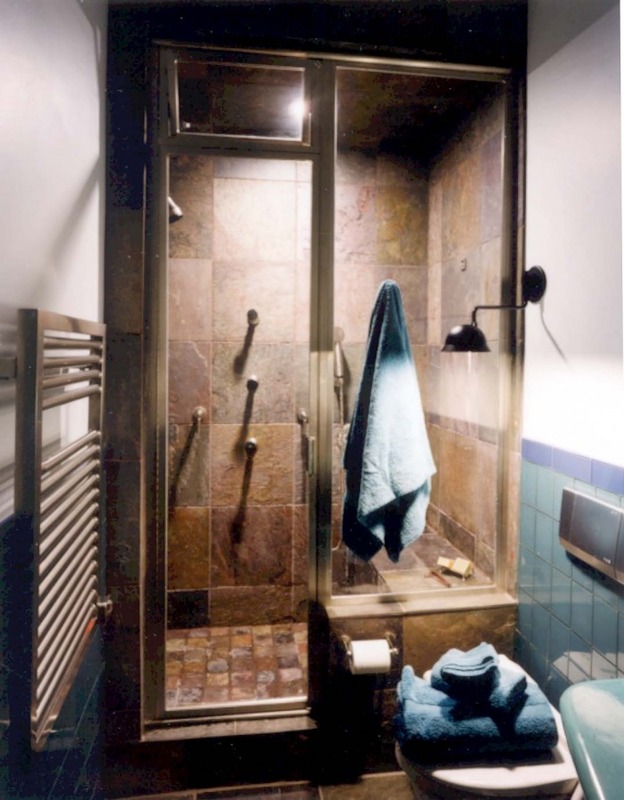 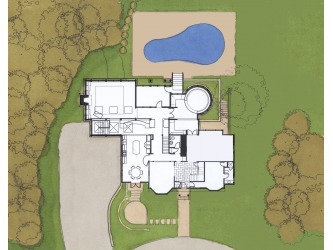 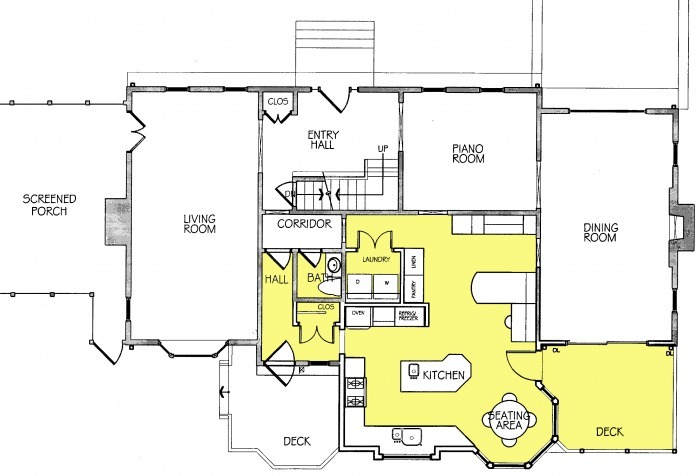 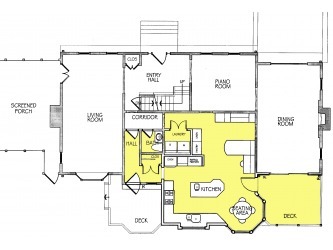 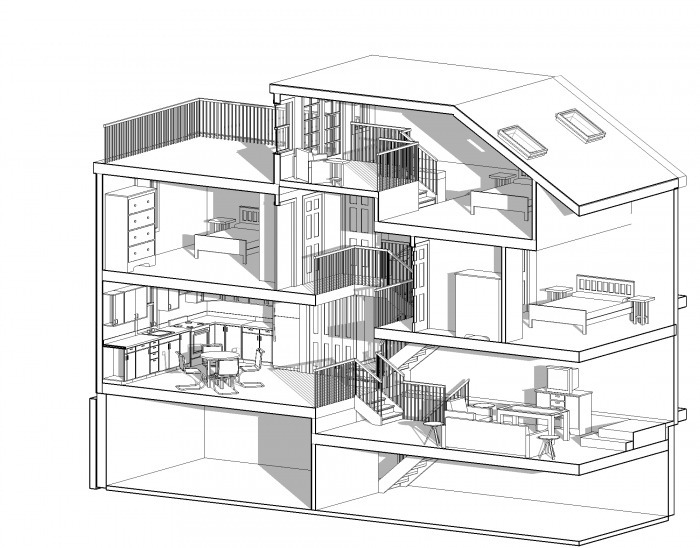 The new circulation pattern allows free access to each room alleviating the problem of having to walk through multiple rooms to cross the house. 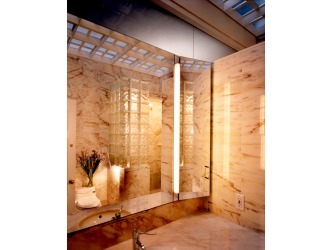 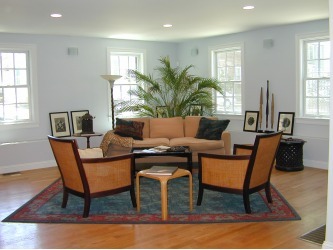 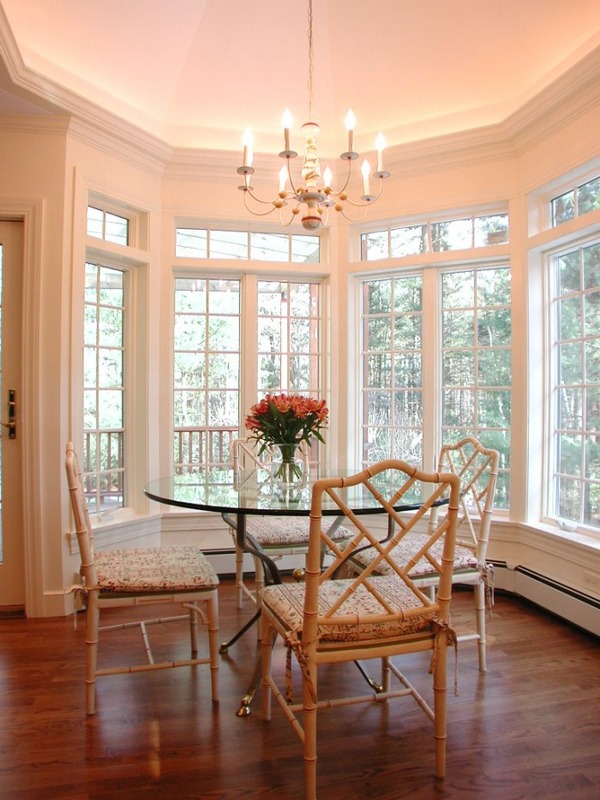 The reorientation of interior spaces allows natural light to flood the house for a warm, inviting ambiance. 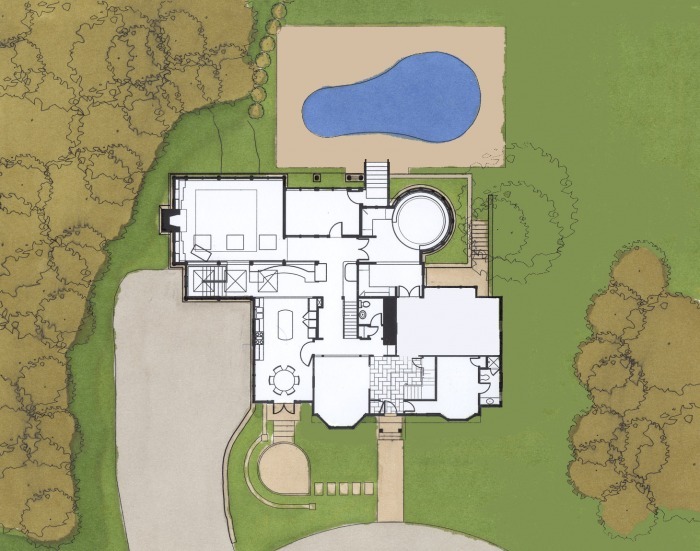 Newly defined entrances, patios and decks seamlessly connect the house with its landscaped setting. 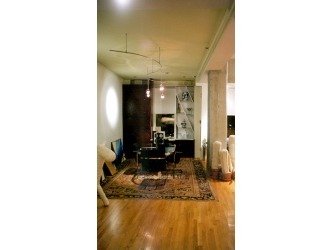 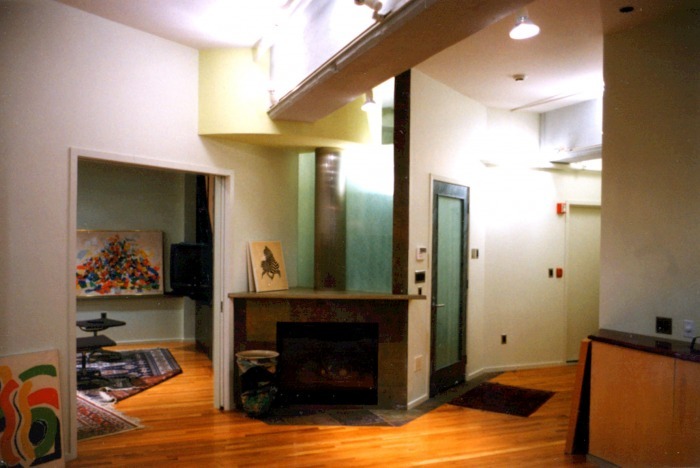 Built within a former parking garage, this 2,600 sf loft is an exciting urban space with individual living areas defined by unusual angles and curves. 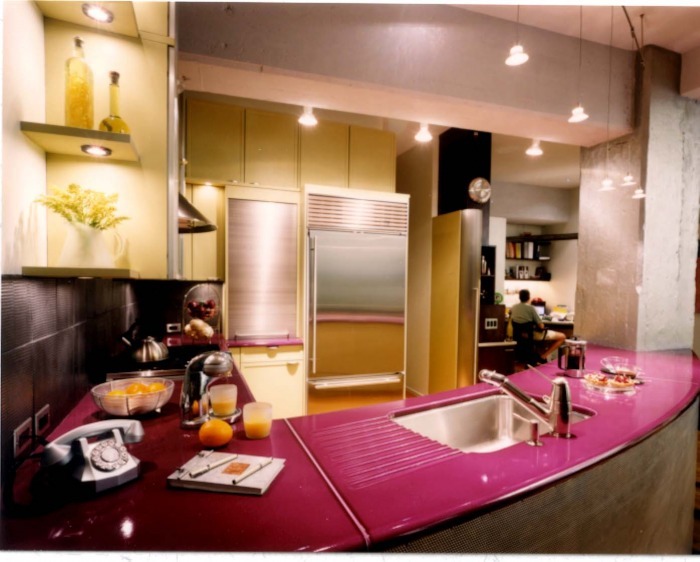 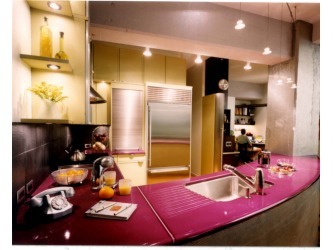 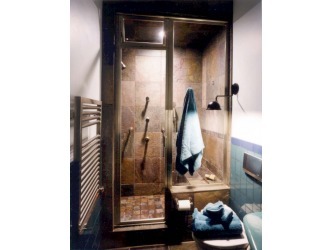 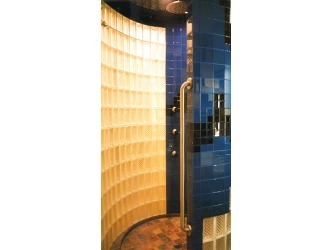 The variety of finish materials includes rice paper glass, hand made tiles, pyro-lava counter tops and colored concrete window sills. 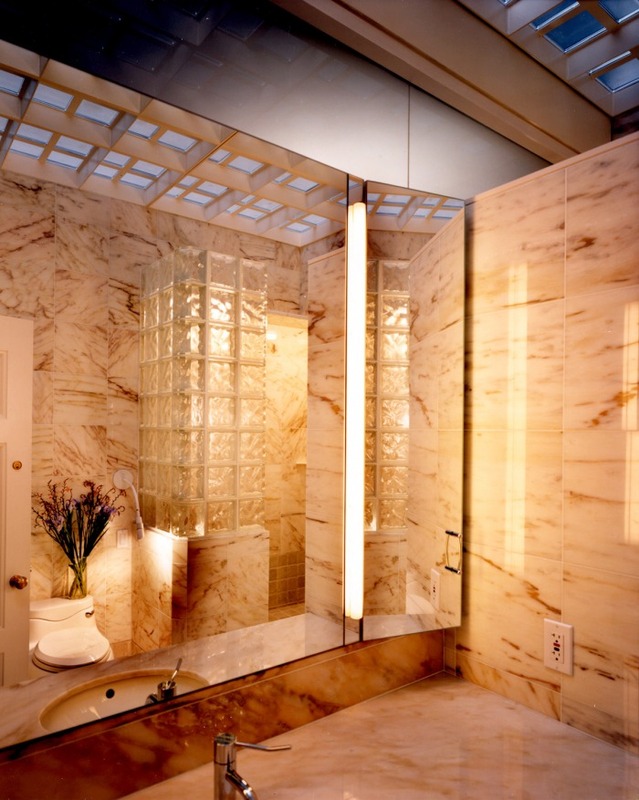 Suede covered undulating ceilings gently lifts the line of vision, continuing the surprise of color and texture with an upward sweep. The program for a 3,000 SF, 3 level addition to this 1920s French provincial home included a family room, grand kitchen, master suite and two-car garage. 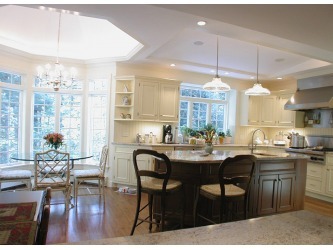 The large, well appointed kitchen opens directly into the new family room. 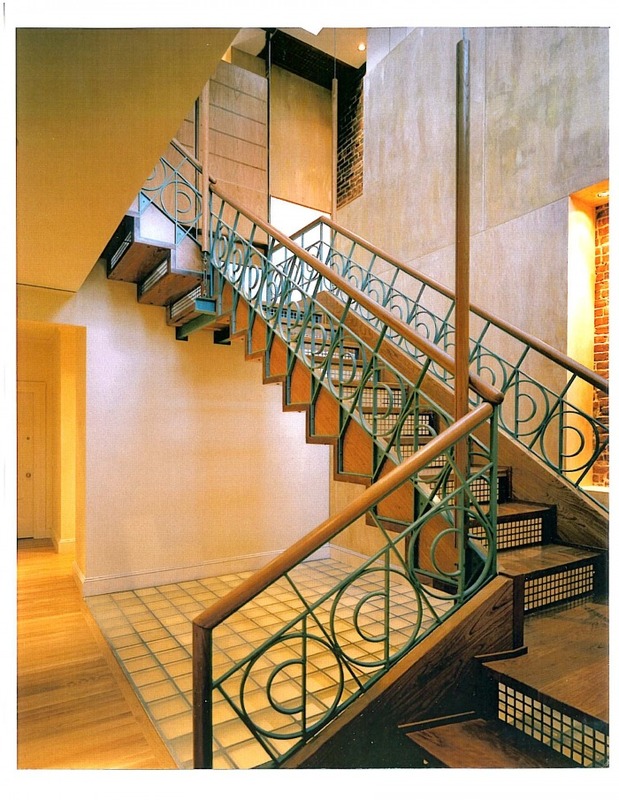 A new sculptural staircase leads from the kitchen/family area into the new master suite and bedrooms on the second and third floors. 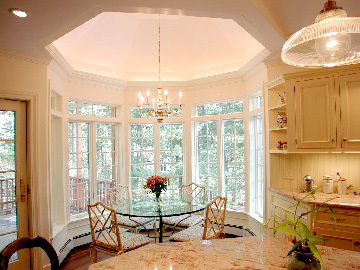 This major kitchen renovation and expansion showcases an octagonal turret, creating a sun-drenched breakfast nook. 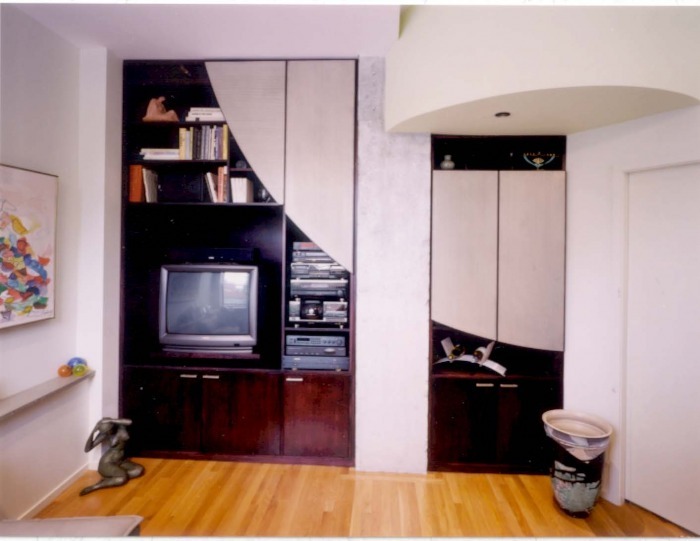 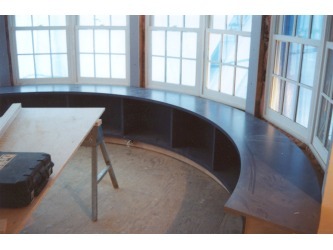 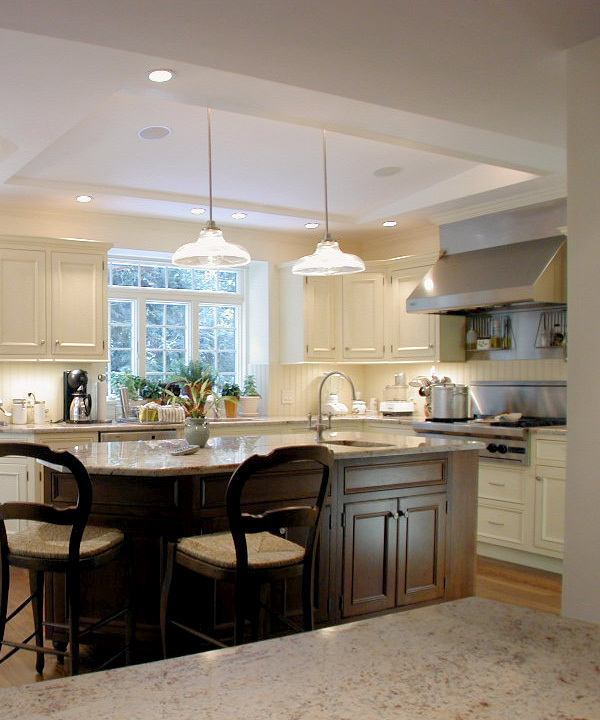 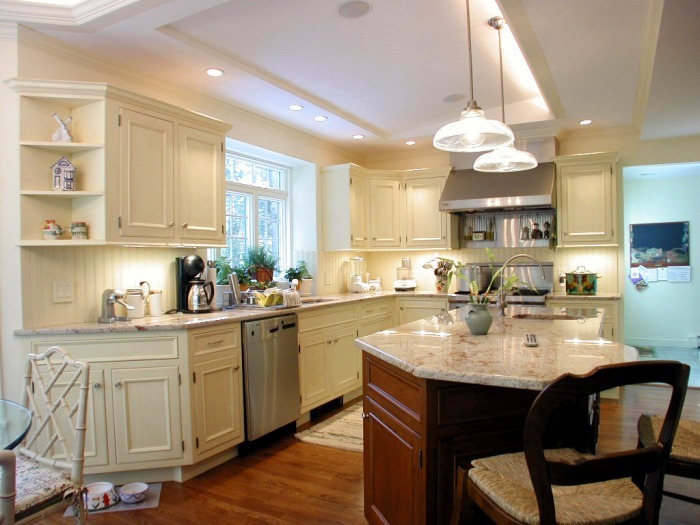 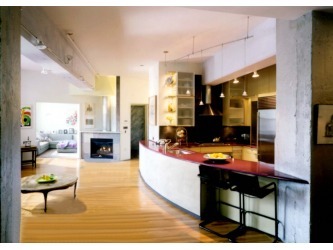 The unique shape is carried over into the design of the island and countertop seating. 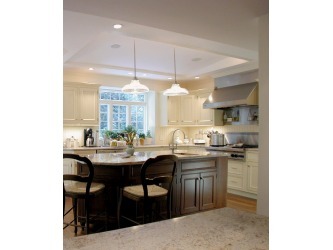 A serving peninsula shields a second nook designed as a small kitchen office. 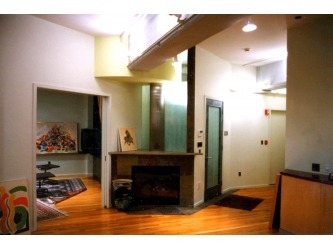 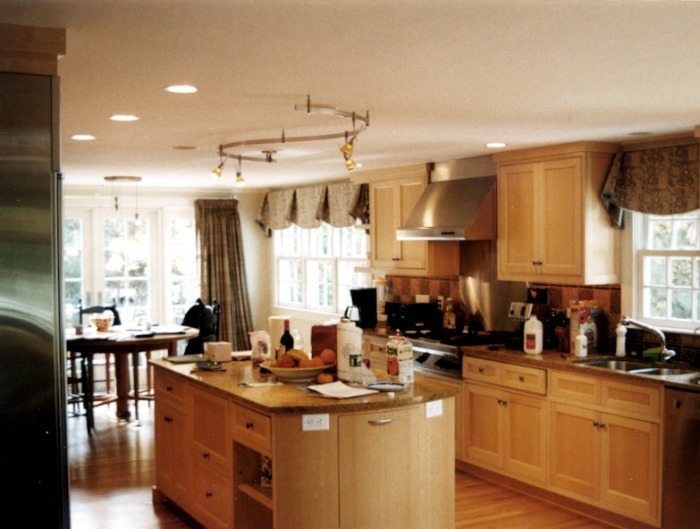 The entire lower level of the house is opened up by the reorganized kitchen space, greatly improving circulation throughout the living areas. 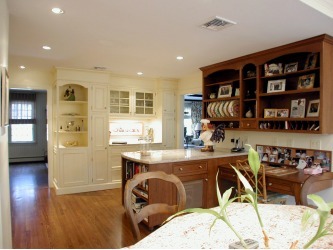 The dining room is now easily accessible to the food prep and serving area. 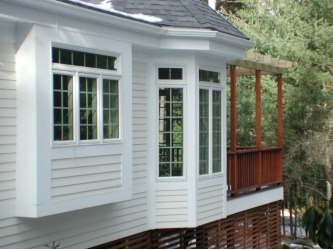 A deck built in the rear corner of the house for summer entertaining is also accessible through the new kitchen. 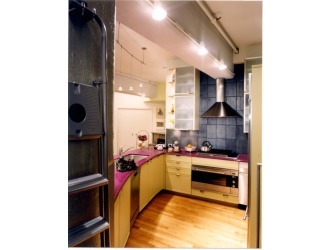 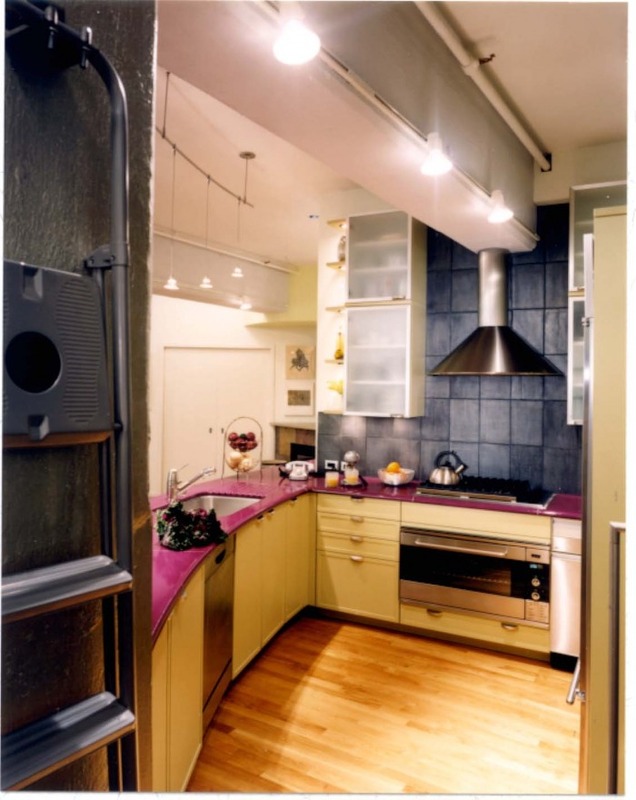 A rear entry with nearby storage closets opens to the kitchen, easing the delivery of groceries and other parcels. 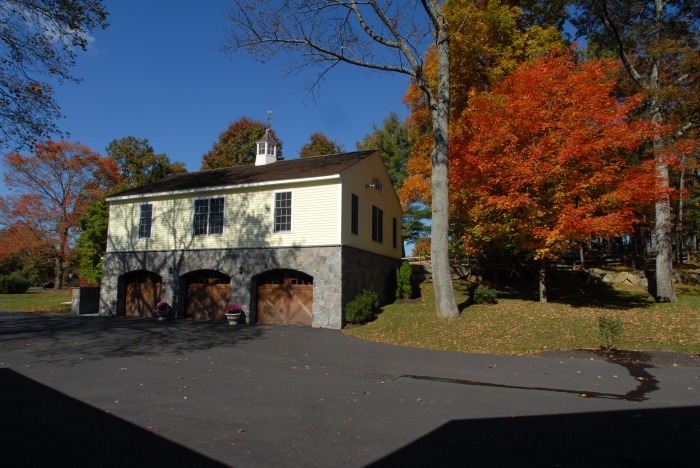 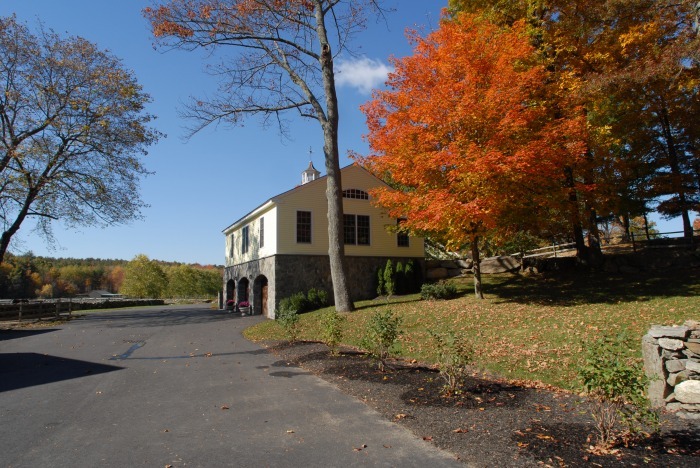 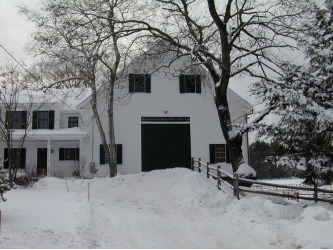 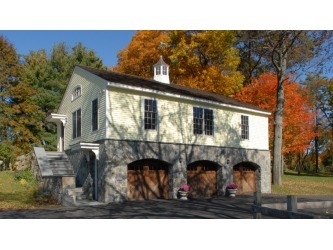 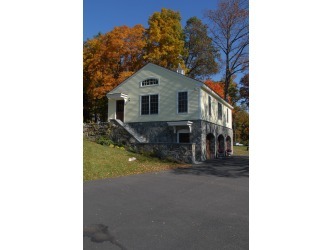 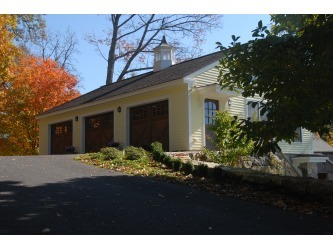 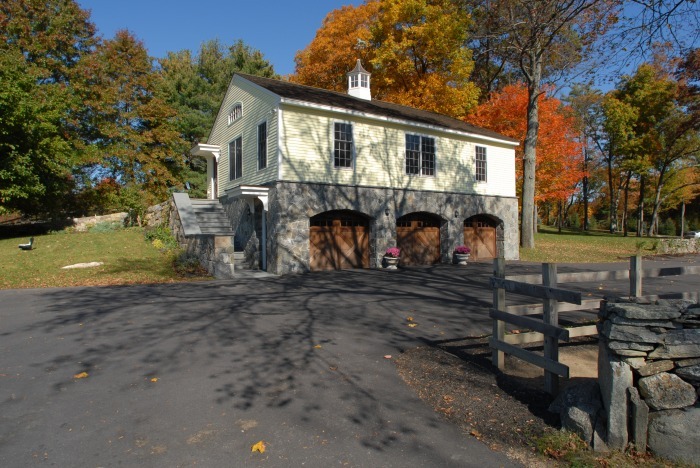 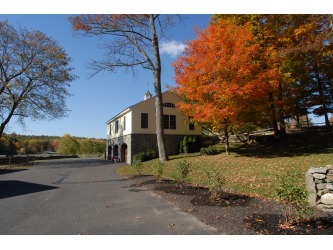 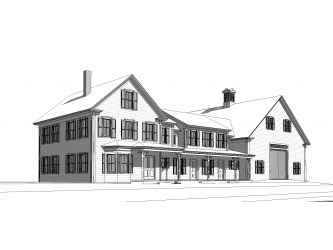 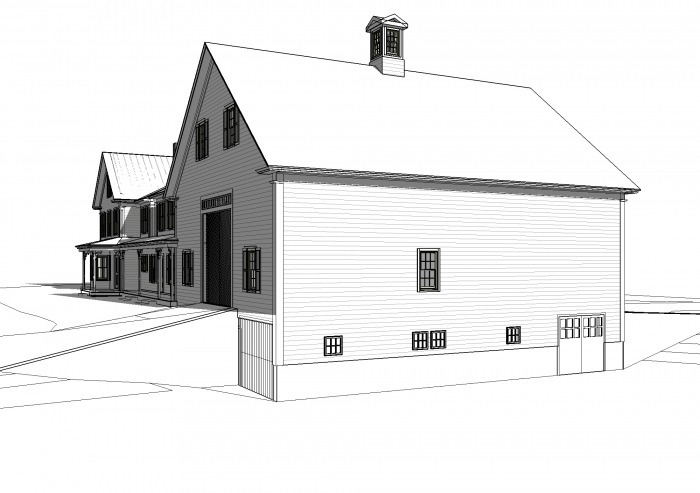 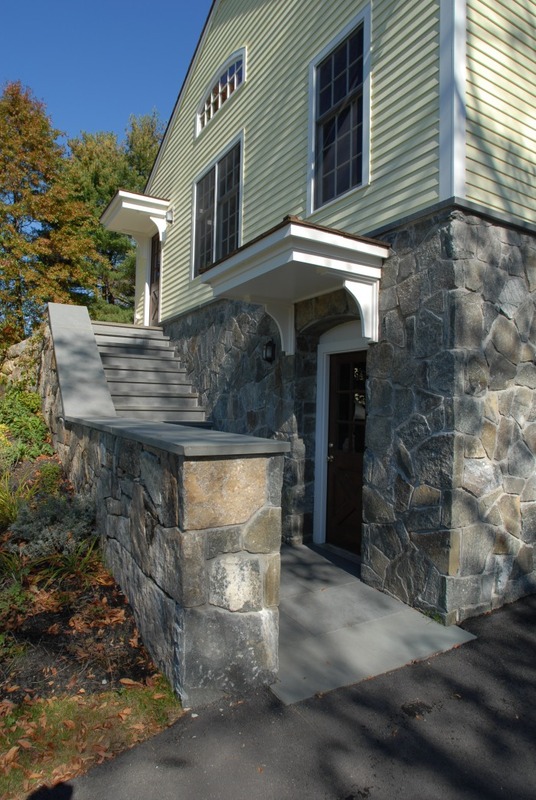 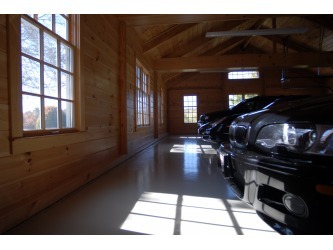 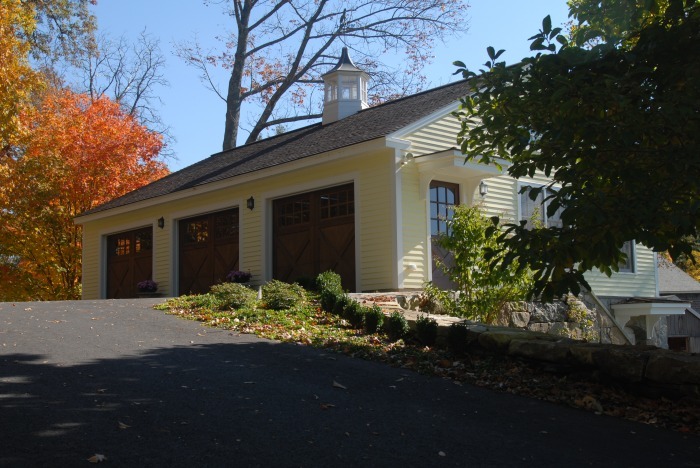 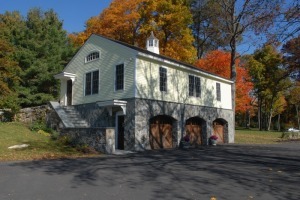 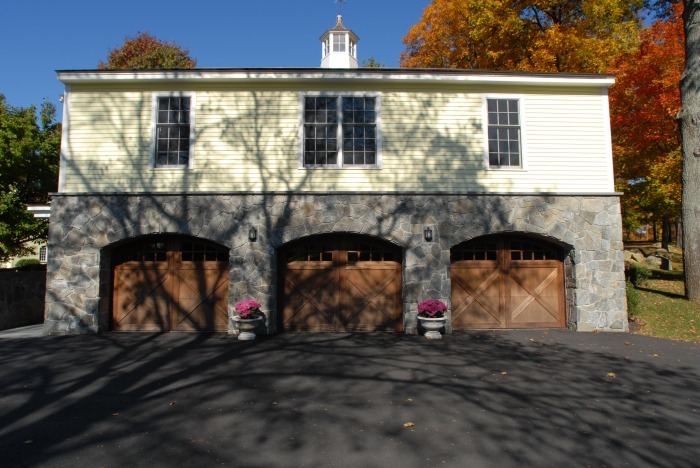 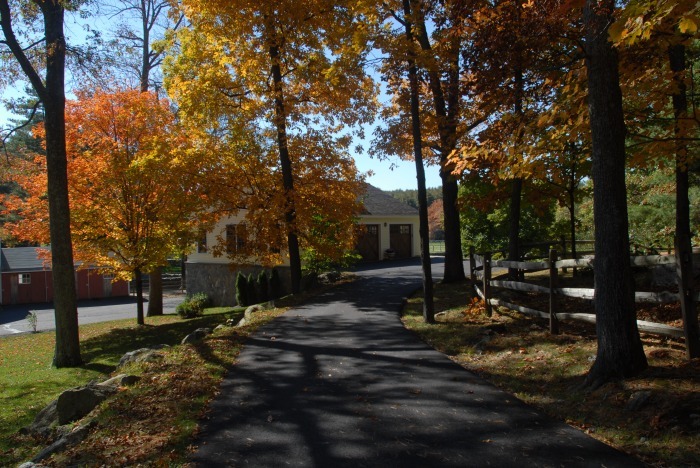 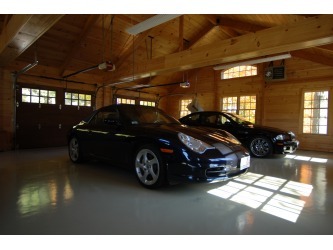 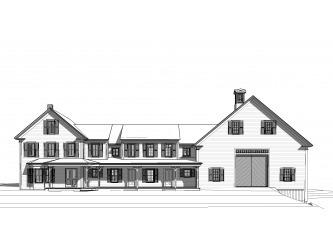 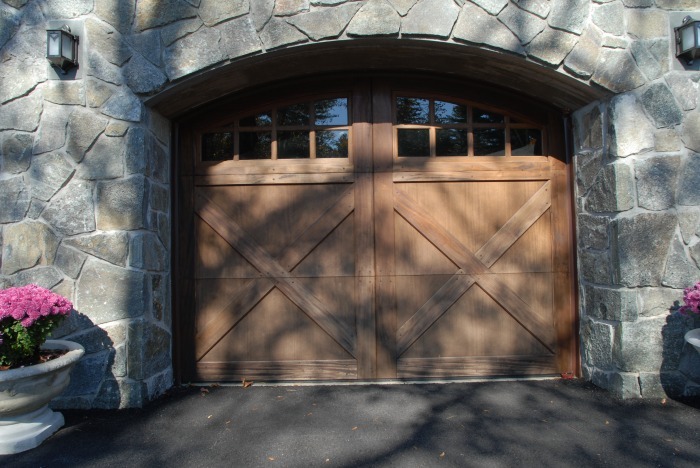 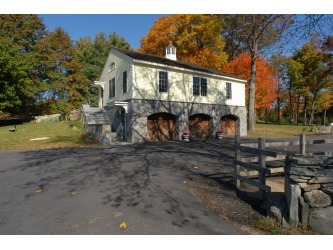 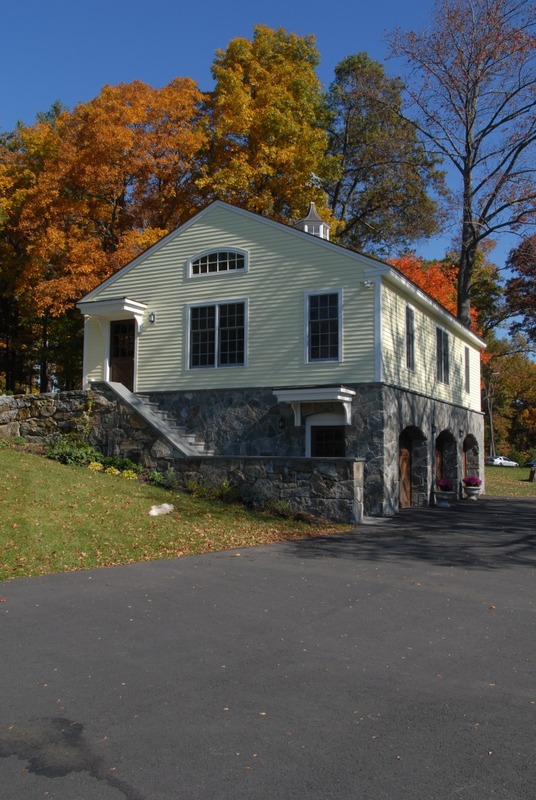 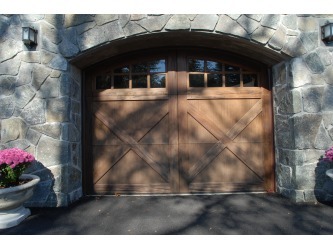 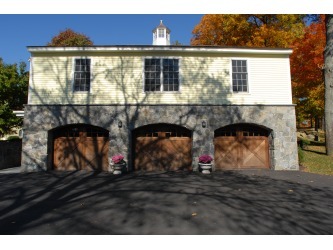 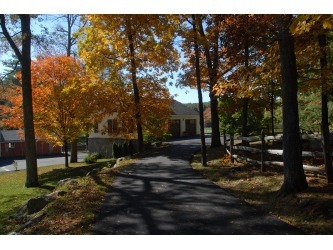 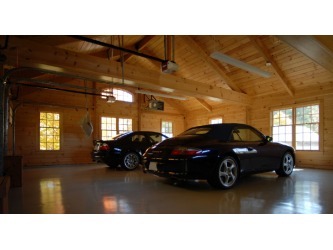 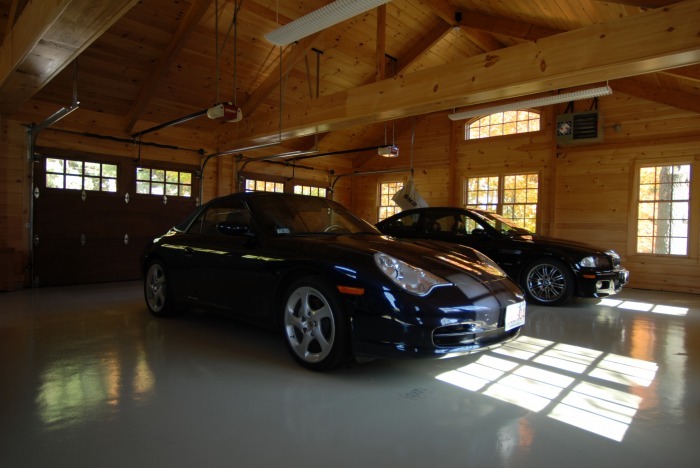 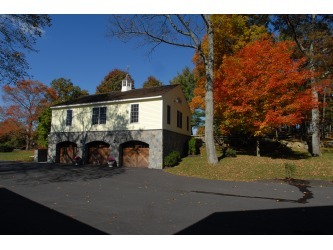 The custom-built, two level garage features traditional detailing that reflects the proportions and materials of the centuries old, main farm house. 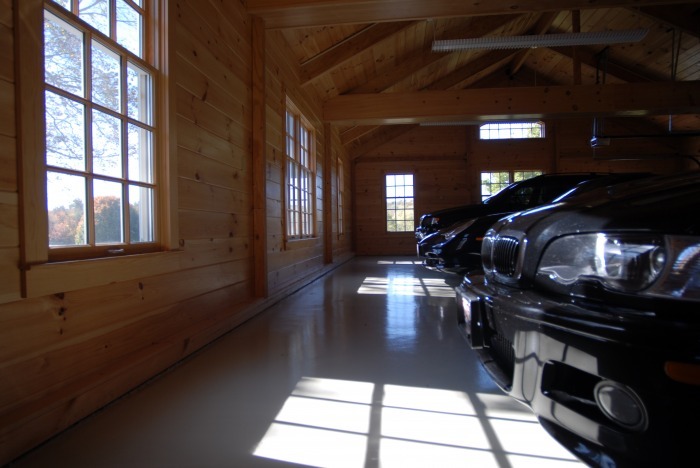 Built into a hillside to take advantage of the farm’s terrain, the upper level, which houses the owners personal vehicles, is built of heavy timber frame construction with tongue and groove pine walls and ceiling. 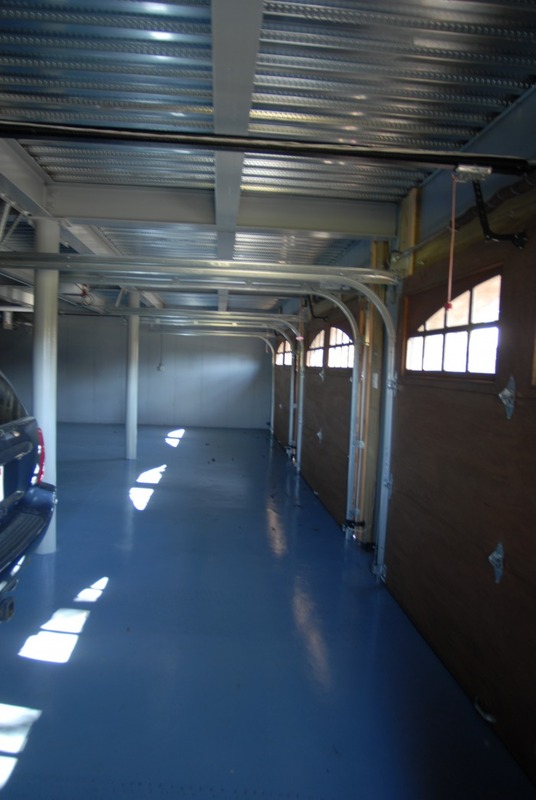 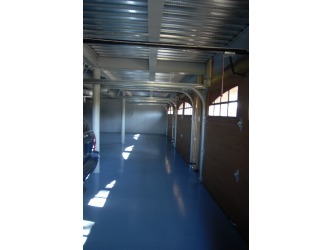 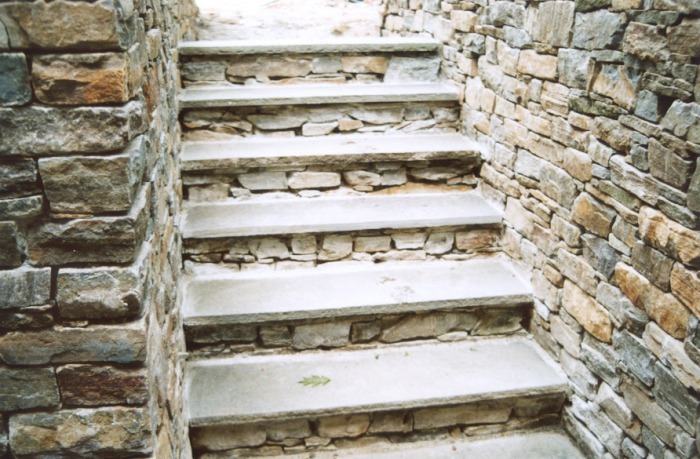 The lower level, housing industrial vehicles and equipment, features a masonry foundation that supports the concrete and steel deck of the level above. 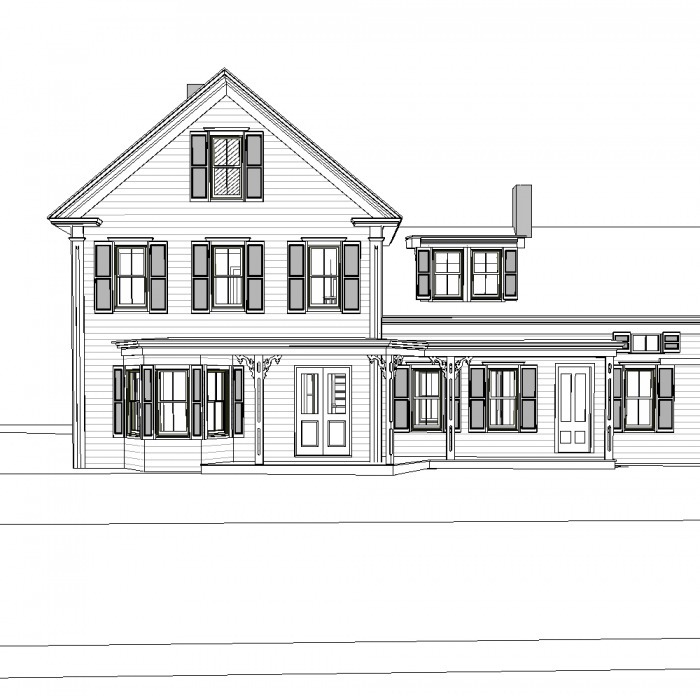 The question was how do you incorporate the addition of an expanded master bedroom into a 100 year old Greek Revival residence? 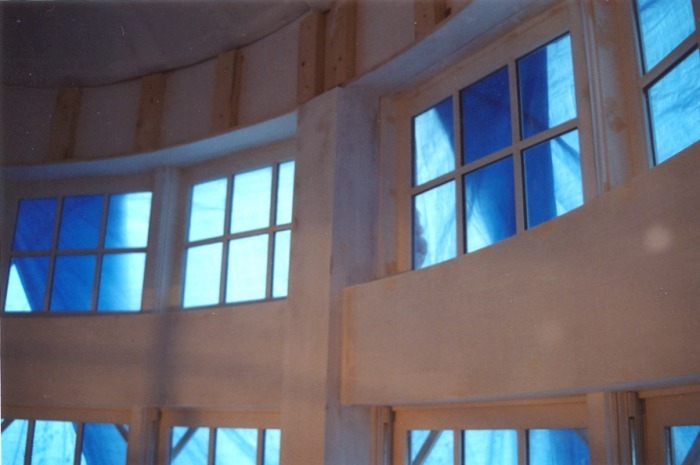 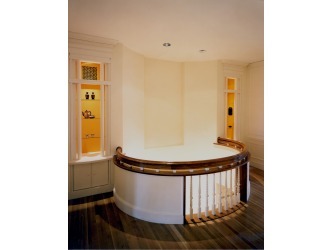 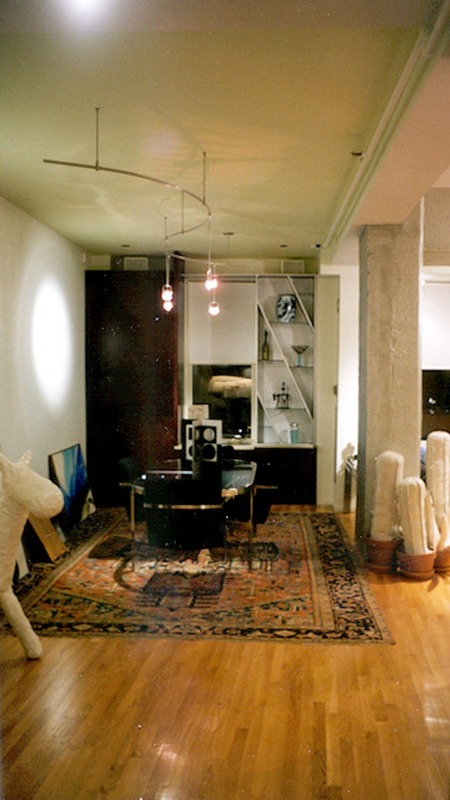 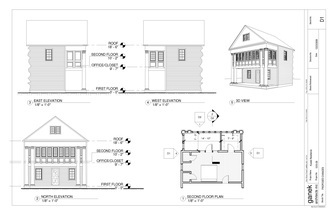 The program called for an office and walk-in closet created at the second floor, within the 2 story space created by the original double height true Doric columns at the east end of the structure. 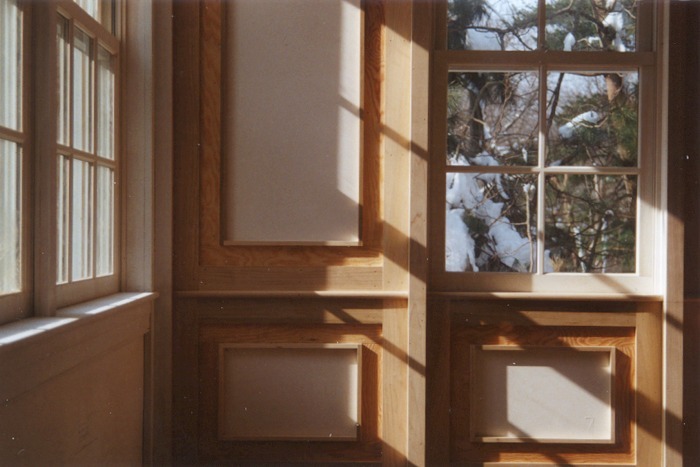 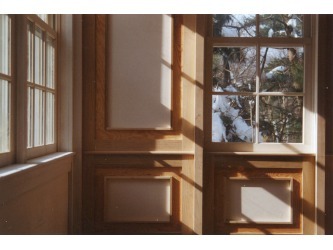 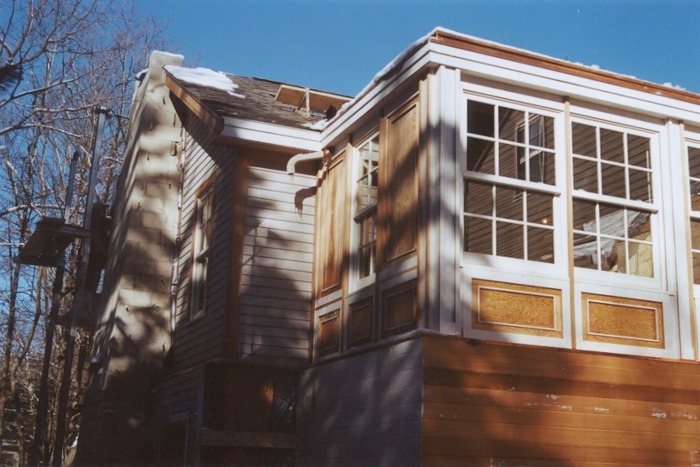 The solution was an infill construction spanning between the columns with continuous double hung windows and expressed paneling. 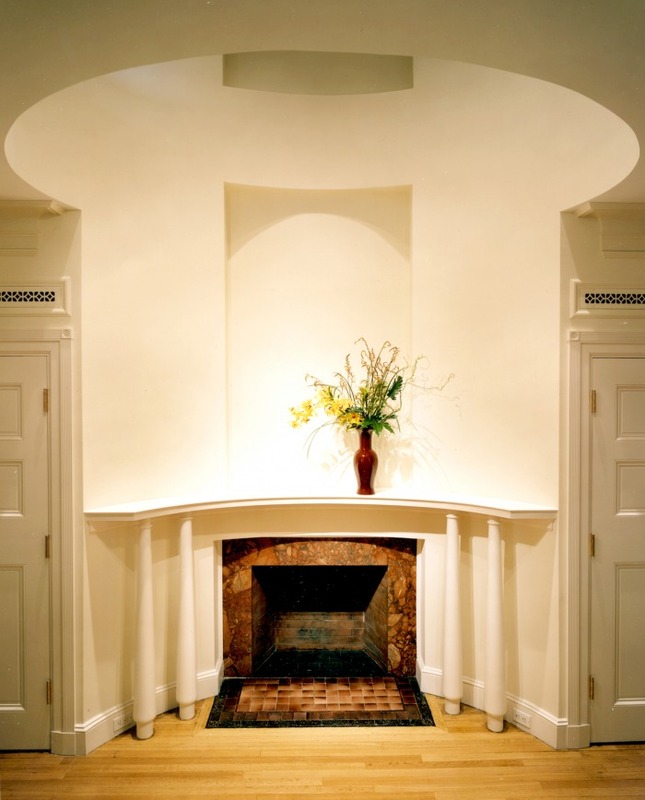 This challenging project was a renovation and restoration of a 100 year old townhouse with period appropriate detail while still satisfying the needs of a 21st century owner. 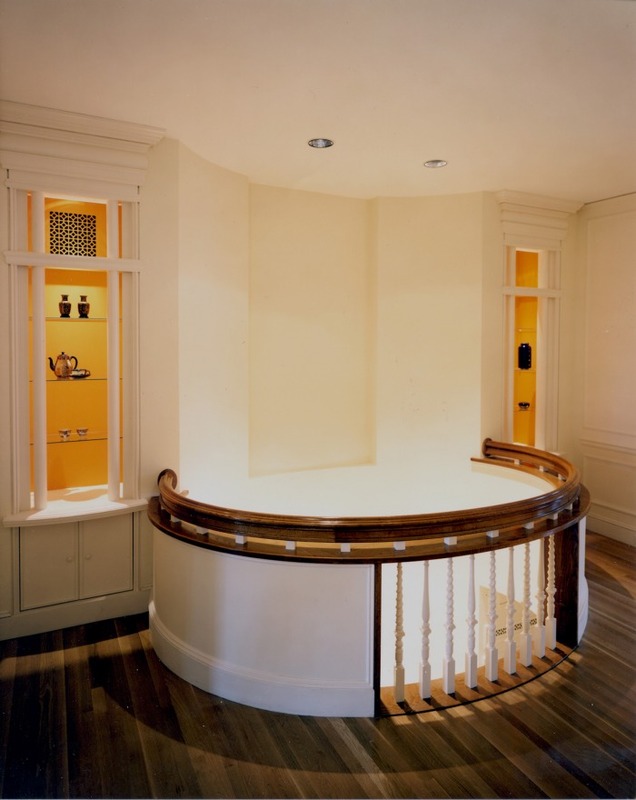 The main entrance, living, dining, parlor and library levels were all restored with elegant detailing while discretely incorporating technology and lighting requirements. 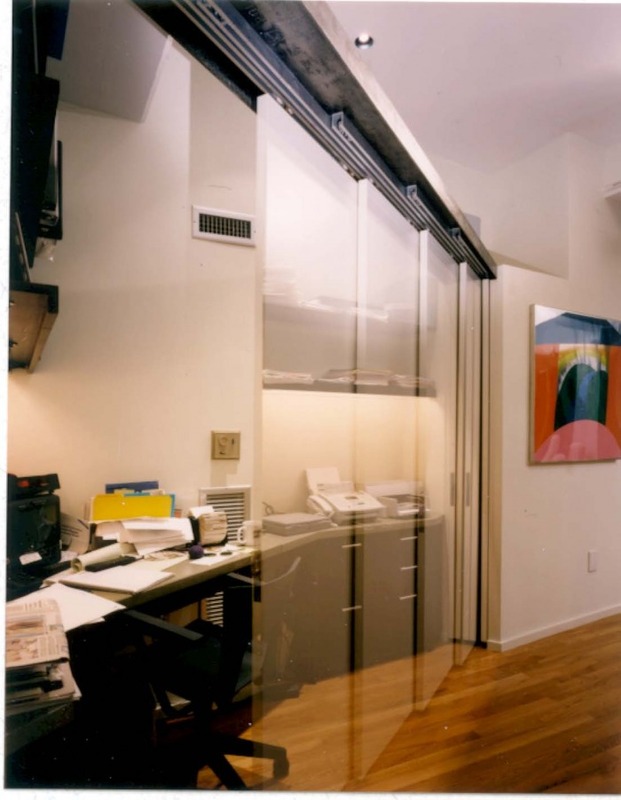 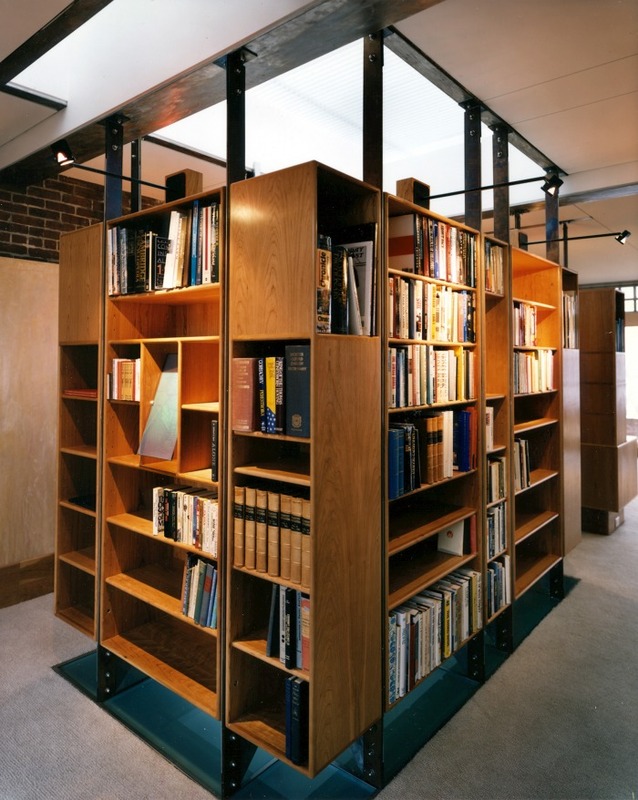 A top floor office constructed of exposed steel beams, glass panels and custom casework was added above the original roof line, intentionally set back from the front and rear facades. 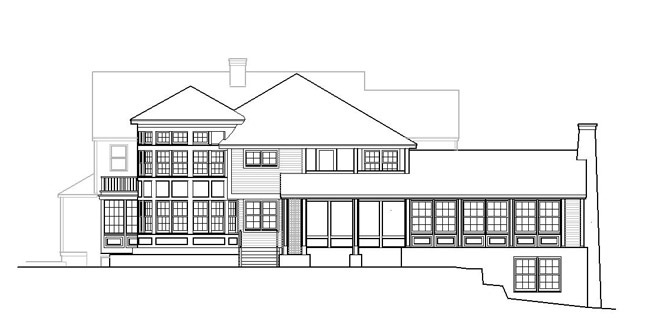 A new caterer-ready kitchen is located at the ground floor that includes walkout access to grade at the rear of the 7000 SF townhouse. 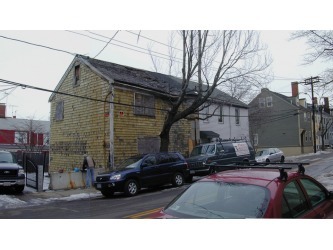 This attached single family home, dating from the 1840’s, had been abandoned for decades when the Owner purchased it at auction. 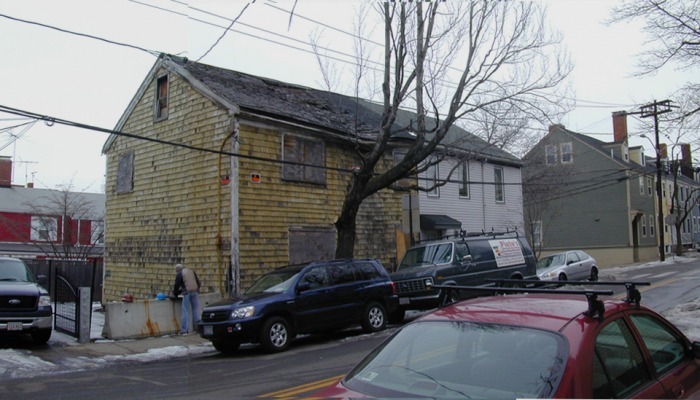 While the level of deterioration dictated that it had to be demolished down to the foundation, the city Historic commission directed that the new shell dimensionally had to exactly match the original structure. 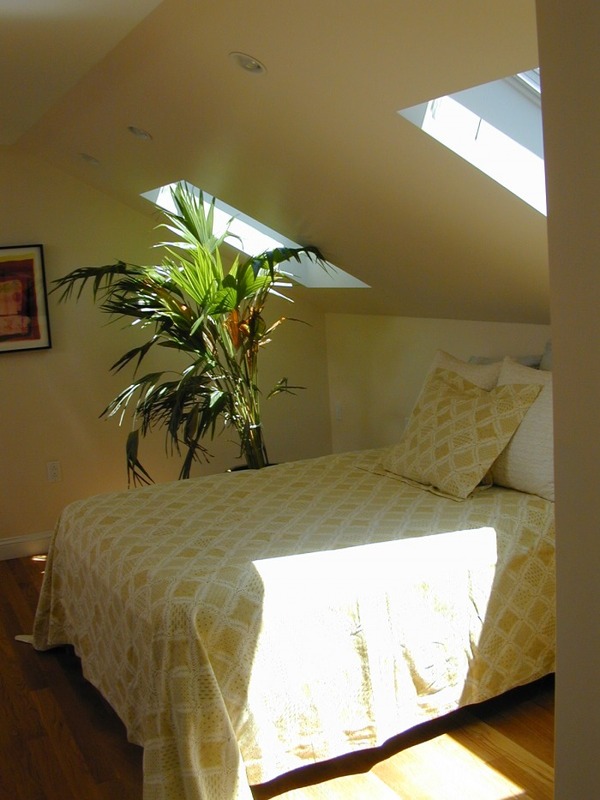 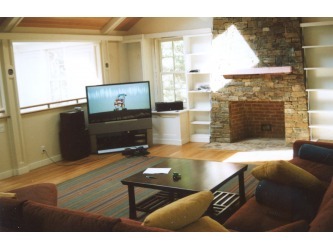 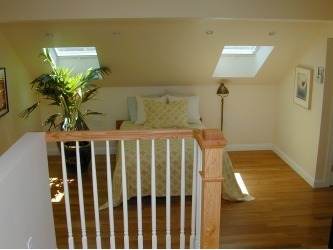 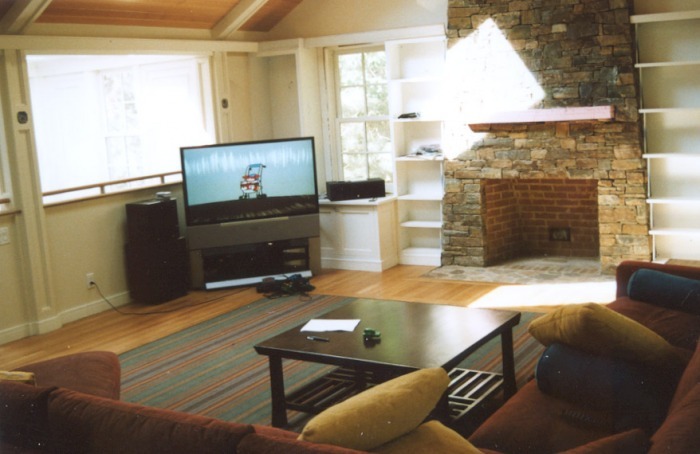 The Interior layout was changed via alternating floor levels to provide an additional attic level in a previously too low attic space increasing the square footage by 25% and offering 4 bedrooms and 2.5 baths. 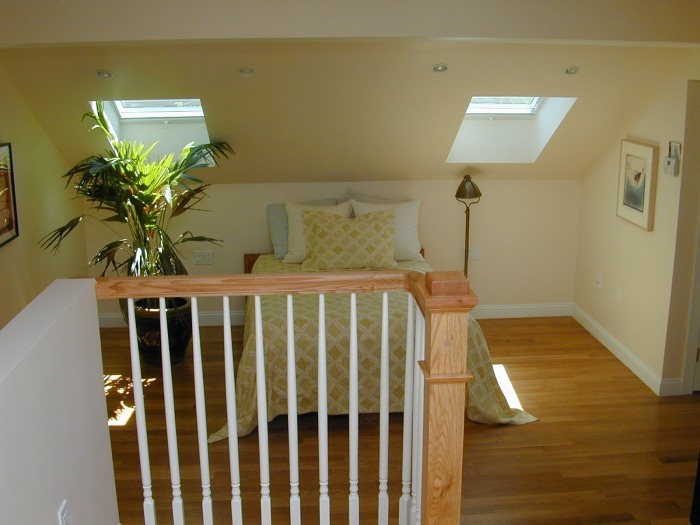 The new master bedroom suite boasts skylights, a raised sitting area and 3 sided glass fireplace, a private bath and walk-in closet. 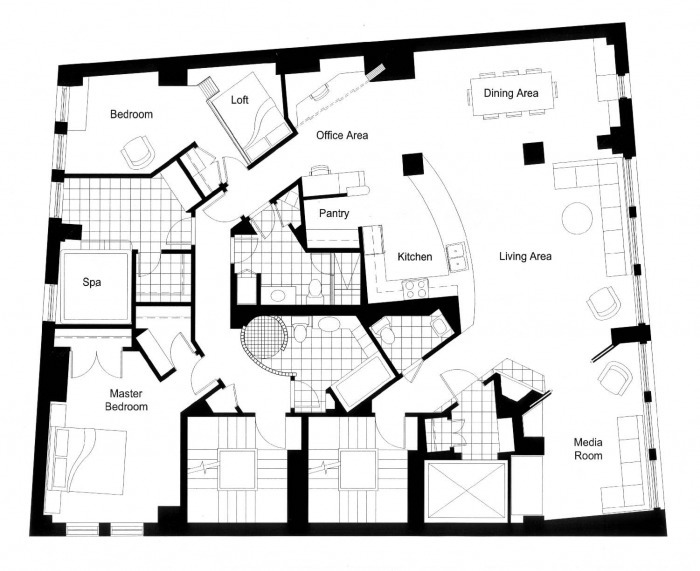 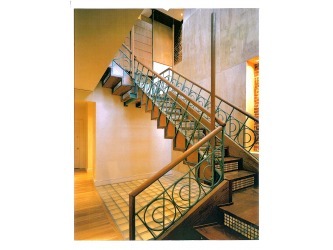 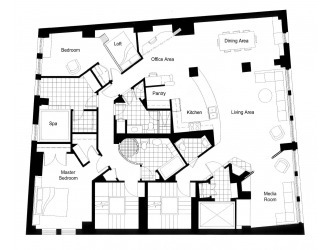 A central atrium stairwell allows views from floor to floor via open balconies. 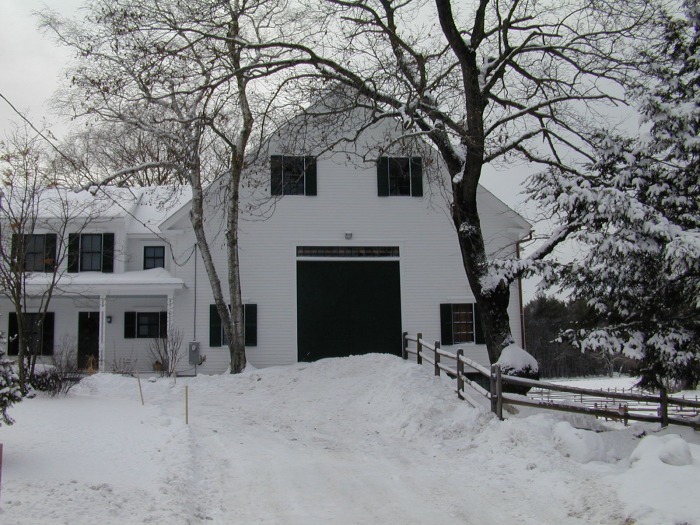 A new addition, containing a kitchen, dining area, entry vestibule, full bathroom, and laundry room at the first floor, and a full master suite at the second floor, was built to connect the existing 18th century house to the 19th century barn. 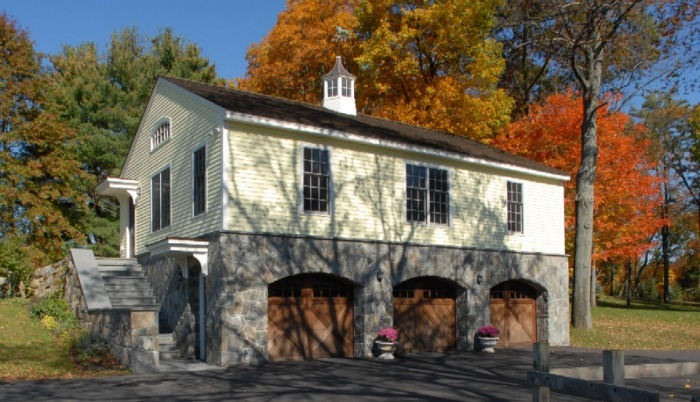 It replaced a badly deteriorated earlier placed connector building. 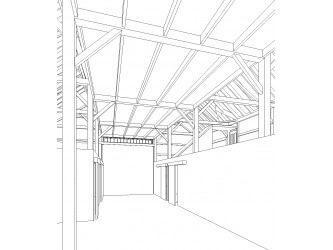 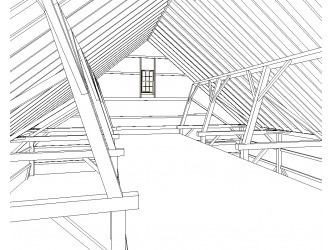 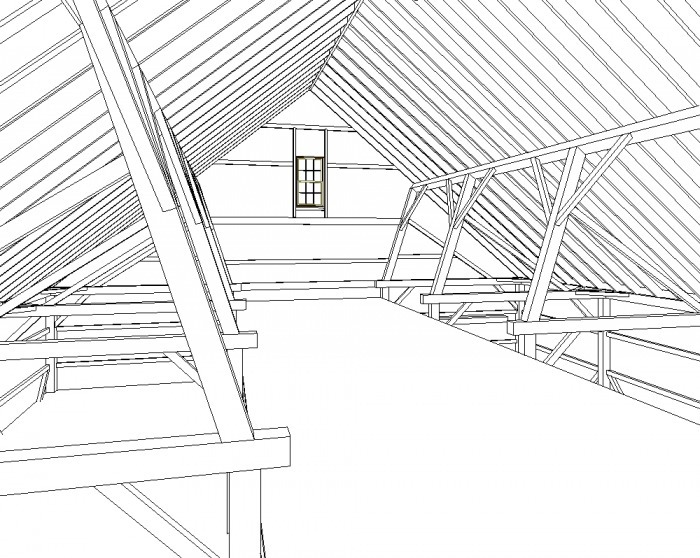 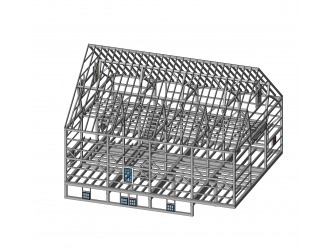 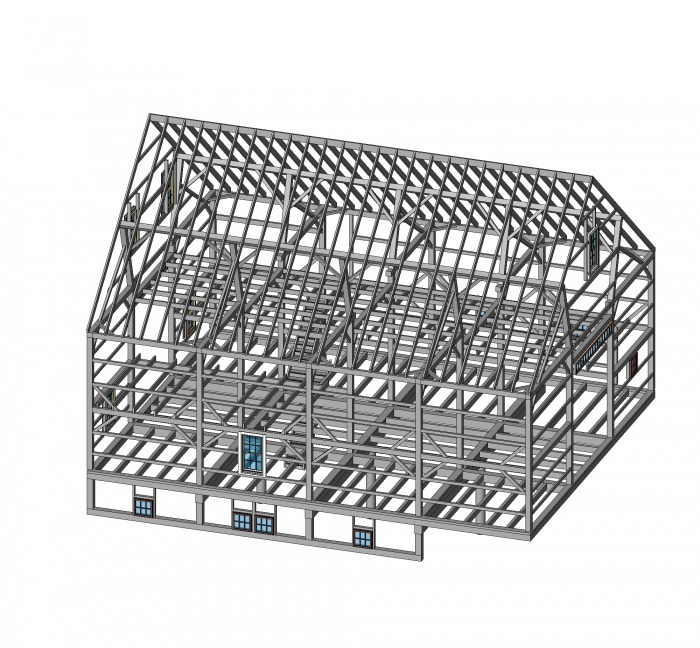 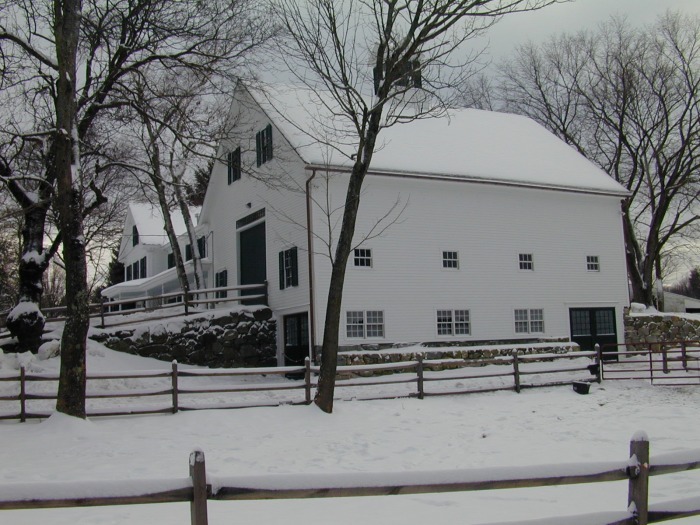 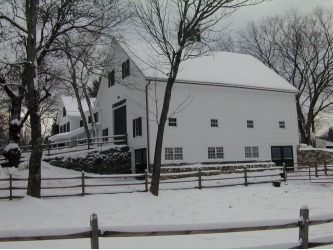 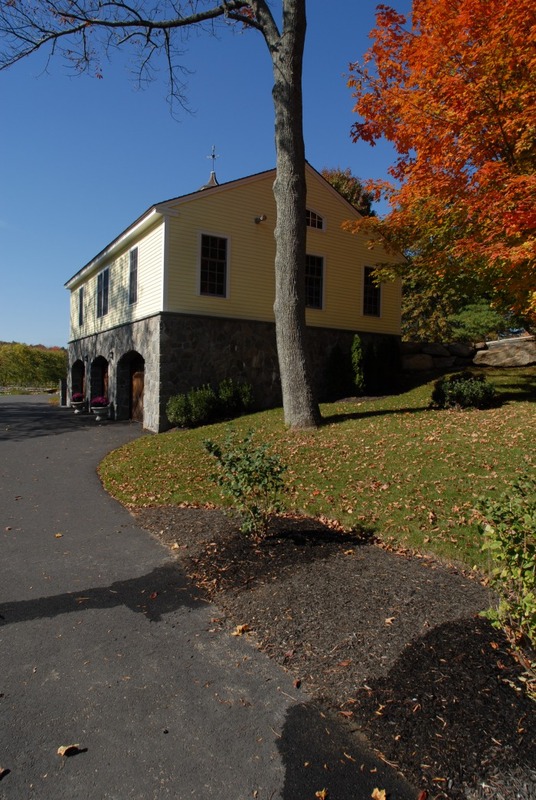 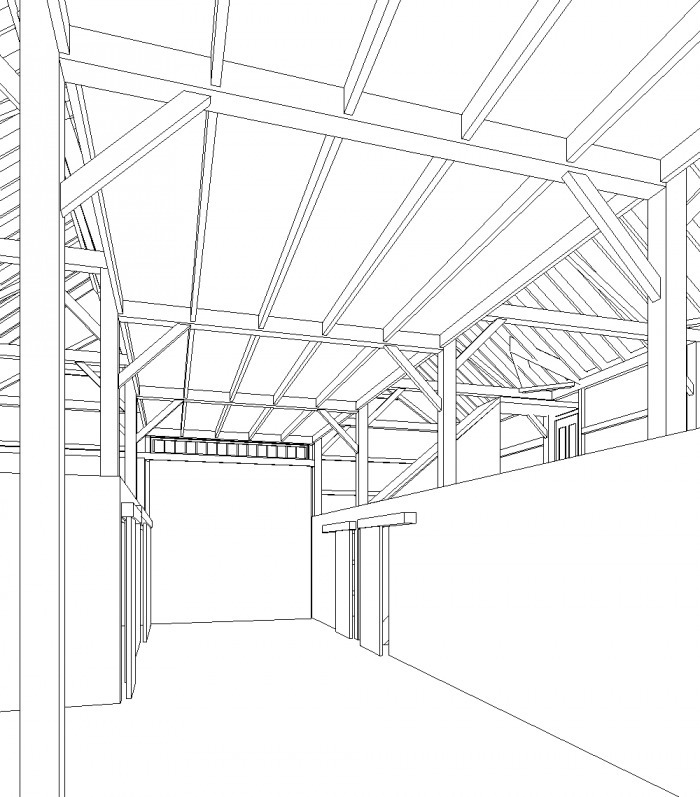 The new structure was designed to carefully blend with the still visible details and proportions of the colonial era house and more restrained detailing of the still working horse barn. 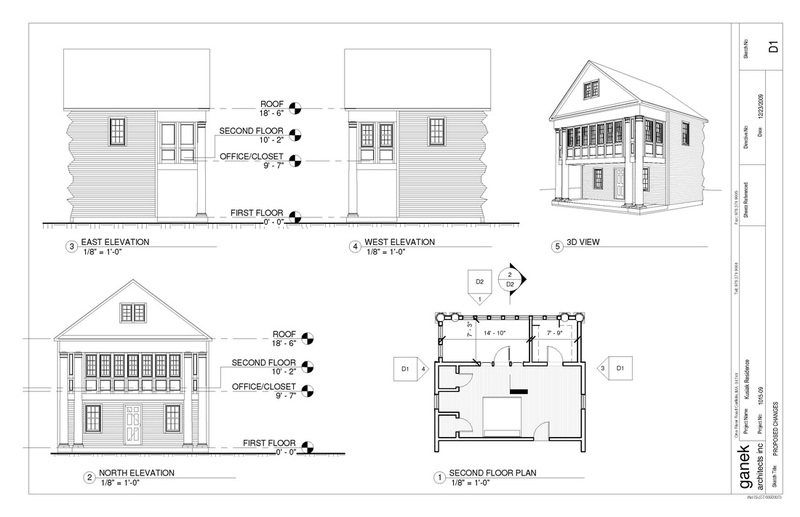 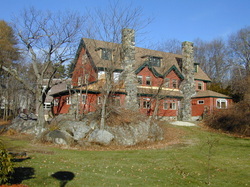 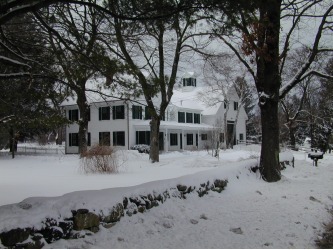 The original porch of the house was extended across the façade of the addition providing a continuous massing connection as well as shaded weather protection along the entire length of the building assemblage. In the 1950’s this historic estate house was converted into a nursing home with the addition of a 10,000 sf steel and masonry patient wing. 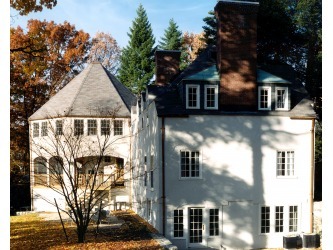 The purchase of the property by a young, growing family sparked the renovation of the original manse to its intended elegance. 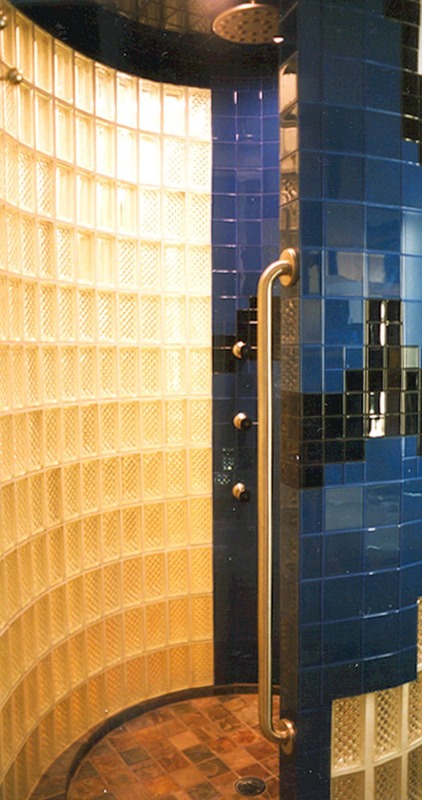 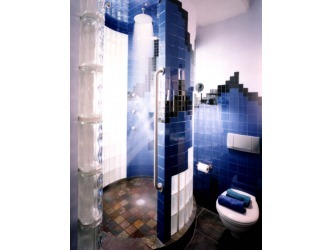 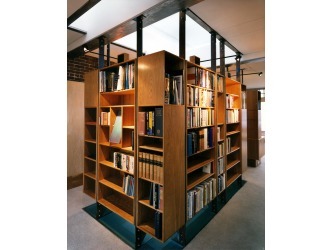 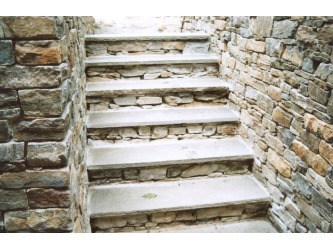 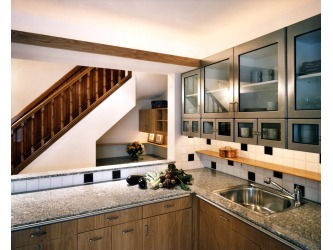 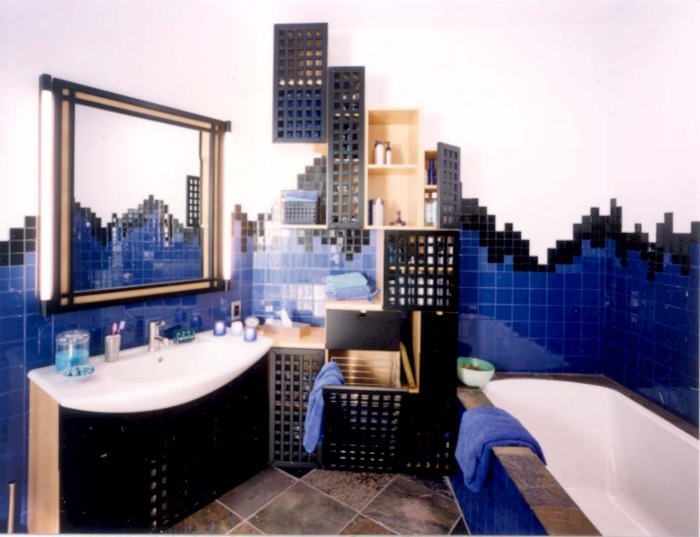 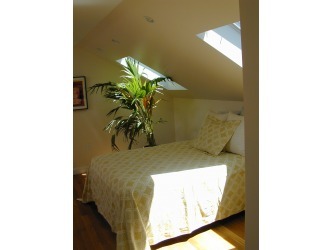 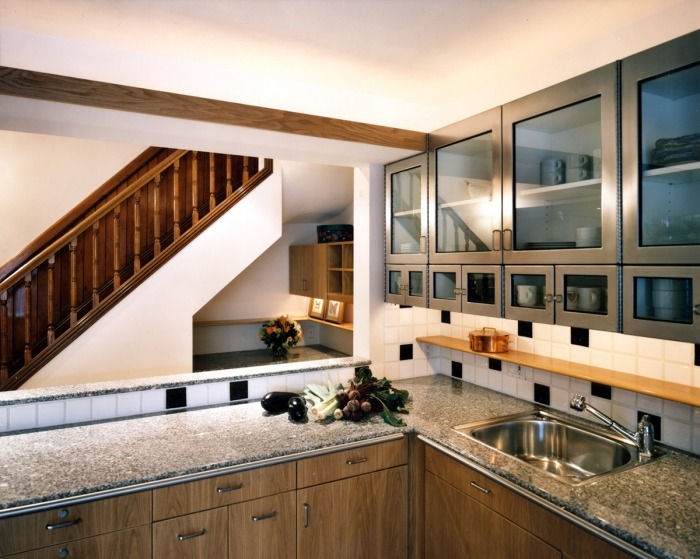 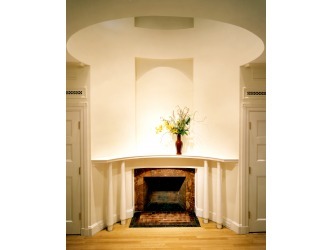 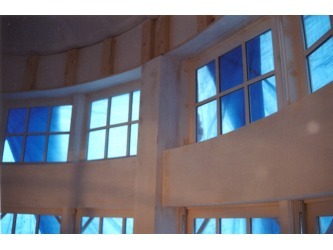 All areas of the home have been lovingly restored to functional and beautiful use. 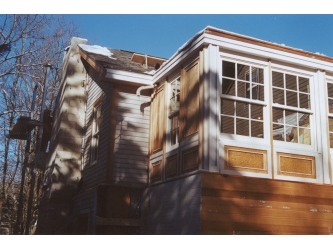 The original open air porches, which had been fully enclosed for use as patient rooms, have been reopened, functioning in their intended use as outdoor space. 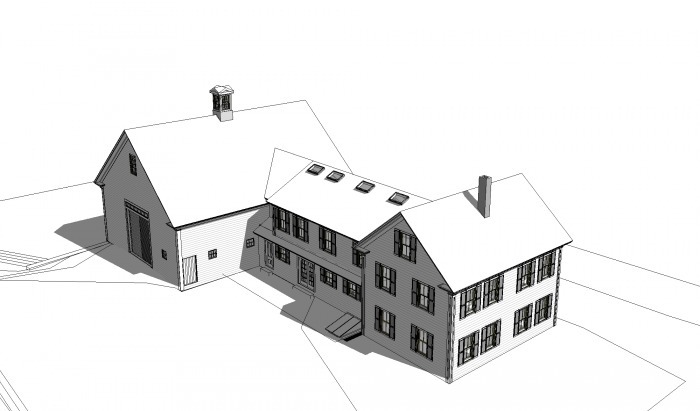 Restoration of period detailing in the main house plus historic replicas carried over to the renovated addition will provide a warm, contemporary environment for the new owners.